All Florida Paper is one of the nation’s leading privately held distributors. Our mission is to be the leader in the distribution of paper, janitorial, sanitation, and chemical products to more than 10 market sectors in over 25 countries, ranging from healthcare to food service and grocery to education. We place considerable importance on forging strong vendor partnerships. Our vendors, large or small, local or global, are essential components in accomplishing our mission. Founded in 1939, American Copper Sponge manufactured just that – knitted copper wire sponges. Today, ACS Industries, Inc.’s Scrubble® Products Division manufactures professional grade cleaning products for the food service, janitorial and sanitary supply markets. The product line includes a complete line of non-woven abrasive products, brooms, brushes, mops, Scrubble® curly metal and – of course – knitted copper sponges. On May 3, 1913, five California entrepreneurs invested $100 a piece to set up America’s first commercial-scale liquid bleach factory, which they located in Oakland, on the east side of San Francisco Bay. 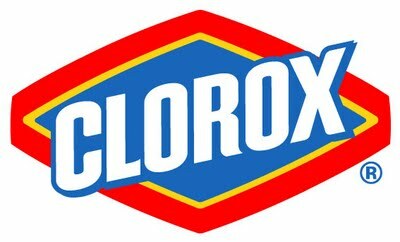 In 1914, they named their product Clorox® bleach. Each year Clorox spends 2 percent of its annual sales, approximately $100 million, in Research and Development to make sure every product that is sold meets the high standards of performance that are expected from The Clorox Company. Recognized and trusted for decades, each Clorox brand reflects a heritage of quality and experience in cleaning, sanitizing, disinfecting as well as quality and taste in foodservice. Clorox markets some of the most trusted and recognized brand names for infection control professionals, including Clorox Healthcare™ Bleach Germicidal Wipes and Cleaners, DISPATCH® Hospital Cleaner Disinfectant with Bleach Towels, Clorox Healthcare™ Hydrogen Peroxide Wipes and Cleaners, and Clorox® Broad Spectrum Quaternary Disinfectant Cleaners. 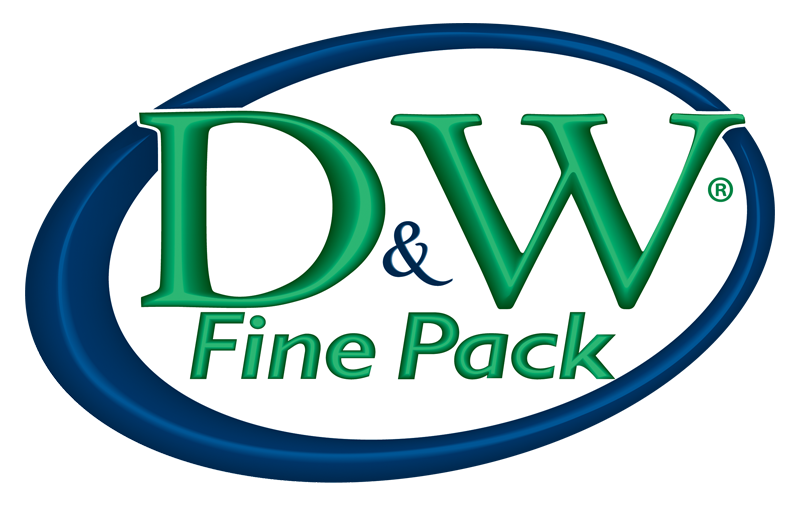 D&W Fine Pack is among the largest foodservice packaging companies in North America. Product offerings include single-use food containers – everything from deli containers to straws and meal kits. The company continues its commitment to expansion and customer responsiveness through the development of unique and innovative packaging and material solutions across all major substrates used in the industry. As a committed leader in sustainability, D&W prides itself on helping the industry evolve to meet changing market demands while promoting packaging using sustainable materials and methods. The Dart story begins with a small machine shop in Mason, Michigan known as Dart Manufacturing Company. Established in 1937, this modest business prospered through the manufacture of such products as plastic key cases, steel tape measures, and identification tags for the armed services. Subsequent experimentation with expandable polystyrene in the late 1950s led to a line of high quality insulated foam cups, and Dart Container Corporation was born. Dart Container manufactures a broad range of quality, single-use products for the food service, retail/consumer, and food packaging industries, and is the world’s largest manufacturer of foam cups. Dart manufactures most of its own production equipment and raw materials, turning those raw materials into high quality finished products. The Deb Group comprises of 21 companies operating in 16 countries with products sold in over 100 countries. Over 40 million people use Deb’s products every day. Since 1941, Deb has been inventing ground-braking products that have revolutionized skin care. In 1947, Deb invented the Swarfega Antiseptic Hand Cleaner. In 1965, Deb introduced the world’s first pump-based dispensers. In 1944, Deb invented the first hygienically sealed collapsible cartridge system capable of dispensing soaps, creams and granulated heavy duty hand cleaners. In 1999, Deb launched the world’s first generic foaming soap systems. In 2003, Deb invented the world’s first foaming alcohol hand sanitizer and as recent as 2011, Deb introduced the revolutionary New System to address patient safety in hospitals. Deb’s products are found in the healthcare, foodservice, automobile and industrial industries around the world. Fischer Paper has been manufacturing specialty bags for over 40 years, producing billions of pinch-bottom bags for a variety of industries throughout North America. Fischer Paper offer a broad line of ready-to-ship stock bags and other flexible packaging for the foodservice industry, such as dry wax wraps and basket liners, quilt foil wraps, and napkin bands. Fischer Paper manufacturers a wide range of retail bags and packaging for hotel and restaurant sanitary applications. The printing capabilities of this fine manufacturer helps customers convey their brand message in an effective, economical and simple way. From customer service to manufacturing, Fischer Paper Products excels at providing business-to-business solutions to meet customers’ packaging needs with a primary focus on quality products and quality service. Please explore our website and contact us for more information on how we can help you. Fortune Plastics is recognized as one of the top manufacturers of flexible packaging in the United States. Fortune Plastics offers an extensive product range to customers in the retail, industrial, food and service markets. The product offerings include can liners, small poly bags, healthcare bags, deli grocery and carryout items, supermarket items, foodservice products and industrial products for sale. Fortune Plastics is a leader in environmental stewardship. 100% of the company’s internal poly waste along with millions of pounds of post-industrial and post-consumer waste is recycled annually. By reducing the material reaching the landfills, Fortune provides a more sustainable, earth friendly, sanitary solution. Products such as compostable bags and products made from reprocessed resin have been part of the offering for many years. Founded in 1927 as a wholesaler of hardwood lumber, Georgia-Pacific has grown through expansion and acquisitions to become one of the world’s leading manufacturers of tissue, pulp, paper, packaging, building products and related chemicals. 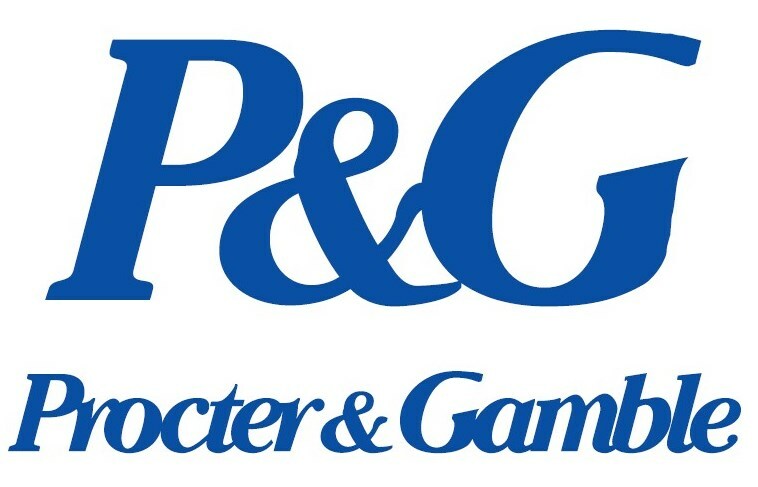 Georgia-Pacific offers a complete line of innovative towels and tissues paired with innovative dispensing systems. Healthcare customers can benefit from a diverse range of products, which helps minimize cross-contamination. The enMotion Towels and Dispensers conveniently promote hygiene and meet the healthcare customers’ requirements. Georgia Pacific understands office building needs and, more importantly, how those needs constantly evolve. Georgia Pacific’s Executive Series Covers for enMotion Dispensers in six stylish designs make a positive impression, keeping you ahead of the curve on increasingly important issues such as hygiene, waste reduction, recycling and green cleaning. In business since 1946, GOJO has a history of innovation in the field of skin care. GOJO Industries, Inc. is the leading global producer and marketer of skin health and hygiene solutions for away-from-home settings. GOJO’s broad portfolio includes hand cleaning, handwashing, hand sanitizing and skin care formulas under the GOJO®, PURELL® and PROVON® brand names. GOJO formulas use the latest advances in the science of skin care. GOJO is known for state-of-the-art dispensing technology, engineered with attention to design and functionality. GOJO’s programs promote healthy behaviors for hand hygiene, skin care and, in critical environments, compliance. Therefore; serving a variety of markets with comprehensive skin health and hygiene solutions. Notable are the inventions of GOJO Original Formula waterless heavy duty hand cleaner and PURELL, America’s #1 instant hand sanitizer. Handy Wacks manufactures food-grade disposable waxed paper for the commercial food service industry, offering printed, unprinted, and custom printed paper products. Its extensive product line includes pan liners, butcher paper, flat and interfolded delicatessen papers and bakery tissues, foil laminated sandwich wraps, freezer locker rolls, hot dog trays, and steak paper sheets. Handy Wacks high end products provides are both functional and attractive. In addition to being the world’s largest company of paper and packaging products, International Paper’s Food service Business has an uninterrupted source of paperboard, investment for expansion to meet customer demands, and the expertise of one of the world’s premier technology groups. For customers, this translates into unique packaging solutions and creative promotional products. The food packaging product line includes paper cups, containers, buckets, plates and bags for a variety of uses. Sizes range from small, single serving containers to large, family-style buckets. Whether the contents are hot or cold, liquid or solid, heavy or light, this versatile product line is specially engineered to maintain structural integrity while holding a variety of food types. Furthermore, International Paper’s ecotainer product line offers an environmentally responsible option for all your food service packaging needs. All materials used to produce our ecotainer cups, lids and containers are sourced from fully renewable resources. In 1950, René Derail, a young tool designer who enjoyed the challenge of building machinery that could generate high quality products, founded Lachine Paper Company, which was eventually named Lapaco. While his first equipment was designed to create butterchips, he quickly saw the need to build machinery that delivered premium quality disposable products, specifically, placemats, traycovers and doilies. Lapaco has over 60 years of experience delivering the highest quality disposable tabletop, bakery and related products in North America. Lapaco invests in the art and science of creating products that enhance the presentation of products in the foodservice industry. Today, Lapaco has an extensive line of doilies, baking cups and fluted products, placemats and traycovers, napkins, tablecovers and banquet rolls. Lapaco’s team takes pride in every custom print that is produced, using water based inks that are environmentally friendly. NCCO’s people, products and processes deliver superior profitability to customers. Since 1905, NCCO has produced products that maximize service, efficiency, operations and profits in a foodservice setting. GuestChecks and WaitRpads are available in multiple styles, sizes, colors and custom options. DateIt offers a complete line of food rotation labels and portion bags to keep food safe and compliant with state and federal regulations. RegistRolls, featuring new EarthSafeBond (100% recycled fiber, 40% post consumer content, chlorine-free, acid-free ) fit most cash registers, printers and credit card machines. Products are available through national and regional distributors and brokers serving the foodservice and hospitality industry. 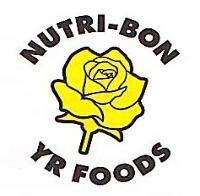 Nutri-bon Distribution Company is a manufacturer and national distributor of paper and plastic supplies for retail, education and institutional food services. Nutri-bon offers a complete line of products, including school lunch kits, polypropylene and polystyrene cutlery, aprons, napkins and bags. Continuous innovation has secured Pactiv’s place as one of the largest manufacturers and distributors of food packaging and foodservice products, supplying packers, processors, supermarkets, restaurants, institutions and foodservice outlets around the world. Since its foundation in 1965 as Packaging Corporation of America, the focus has been to produce the highest quality foodservice packaging products. Pactiv’s product lines today include custom and stock foam, plastic, aluminum, pressed-paperboard, PE coated board, and molded-fiber packaging. Pactiv supplies every major foodservice retailer and distributor in North America. Randy Mathena started Paper Cutters Inc. in 1981 with 2 people, a pallet-jack, and one guillotine. 30 Years later, Paper Cutters has a staff of about 60, widely varied and state-of-the art machinery, and plenty of storage, all of which is housed in our 120,000 sq. ft. of manufacturing/warehouse space. Paper Cutters’ dedication to its core principles of dependability and customer service has, time and again, resulted in satisfied customers, repeat business, and enthusiastic referrals. In fact, this method has been so successful that Paper Cutters currently provides over 1,900 services and products to more than 180 customers with over 530 locations. Rofson Associates is a direct importer of wooden, paper, plastic and latex disposable products, servicing the needs of a variety of marketplaces including Food Service, Janitorial and Health Care worldwide. This extensive line of products offers bamboo skewers, chopsticks, stirrers, frills, hairnets, gloves, aprons and bibs among many other quality products. 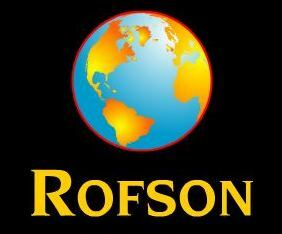 Rofson Associates is a family held company that was started over 35 years ago by Lou Rofé. Mr. Rofé was among the first American businessmen invited to China after President Richard Nixon’s historic inaugural visit to open the borders for U.S. trade. This early presence in the Far East enabled Rofson Associates to build a solid foundation and garner relationships that still last today. Rofson Associates, has established corporate offices in New York, NY and Houston,TX along with wholly owned subsidiaries in Hong Kong, Mainland China and Taipei,Taiwan. By having a presence overseas, customers can rely on each factory’s conformance to health, sanitation and employment criteria by conducting factory inspections. Rofson Associates guarantees product consistency by inspecting the merchandise prior to shipping and ensuring that the products are acceptable for use in USDA inspected establishments. For nearly 80 years, the Rubbermaid® brand represents innovative, high-quality products that help simplify life. In 1999, Newell Rubbermaid Inc. was created, a global marketer of consumer and commercial products. Today, Rubbermaid products can be found in hospitals, restaurants, hotels, supermarkets just to name few industries. Newell Rubbermaid Inc. is committed to ensuring that the Rubbermaid® brand continues to stand for durable, innovative products that help simplify the lives of people and businesses everyday. Recognized as a “Brand of the Century”, Rubbermaid is one of only 100 companies named as having an impact on the American way of life. 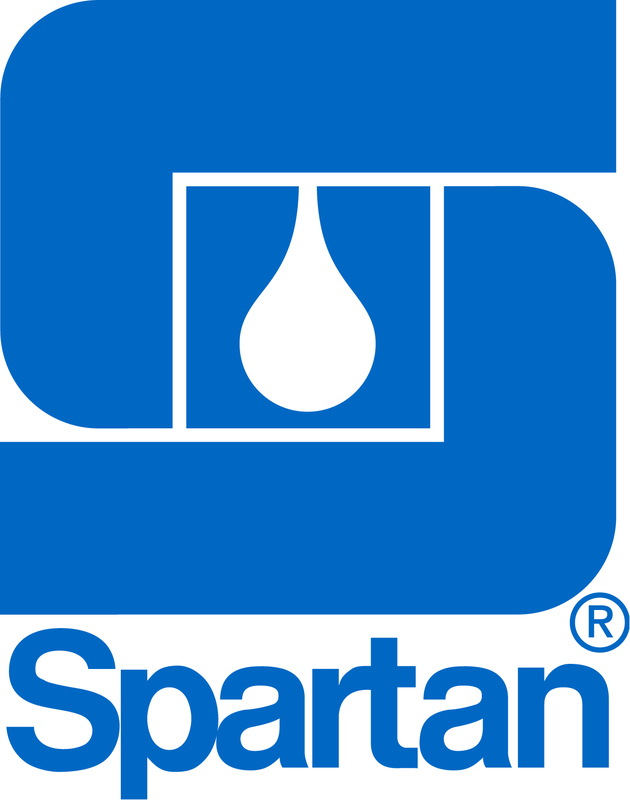 Spartan Chemical Company, Inc. is a manufacturer of Chemical Specialty Maintenance Products and Industrial Degreasers committed to enhancing its strong leadership position in the industry through substantial investment of time, money and resources. Spartan responds to current customer needs by anticipating and formulating Environment and User friendly programs, systems and products. Disinfectants & Sanitizers, Floor Care Products, Laundry & Warewash, Green Solutions & BioRenewables are part of Spartan line of high-quality products. Spartan has developed easy to implement training programs to ensure that the customer can achieve optimum results. Diamond Chemical Co., Inc. was founded in 1930 by Jacob Diamond. The company began as a manufacturer of Sodium Hypochlorite (liquid bleach). The products were sold door to door and later to commercial Laundries and Laundromats. As the company grew, it began manufacturing products for laundry and dry cleaning, as well as specialty chemicals. Starco Chemical, a division of Diamond Chemical, is focused on providing the finest specialty chemical products to the Jan-San, Food Service and Wholesale Paper trade at the lowest possible cost. Starco takes prides in the manufacturing and packaging processes of an extensive product line, which exceed the norm for the industry. Starco’s line of chemicals Warewash products is a complete line of powders and liquids that are available for machine wash, manual wash and more. Laundry products include powders, liquids, bleaches, fabric softeners, and a full range of liquid laundry injection products. Quality janitorial and Sanitation products that are paired with dispensing units allow for savings. Starco also manufacturers Green Key® green, environmentally safe products meeting U.S. EPA Design for the Environment specifications. In 1973, Sandy Seidman started The Safety Zone in a spare bedroom with a phone line and a typewriter. After four decades, Safety Zone operates in eight locations in America, with three additional offices in Asia. 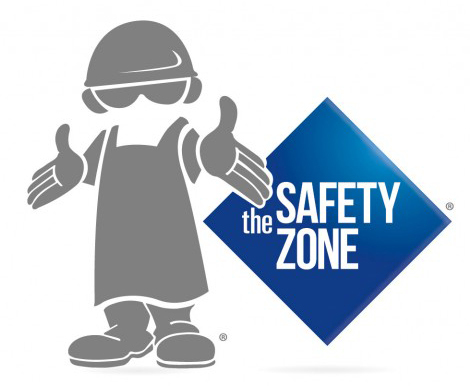 The Safety Zone, now in its fourth decade of operations, and imports and manufactures a wide variety of safety equipment and products with an emphasis on gloves. The company’s products are used in the industrial safety, food service, and janitorial market sectors. As one of the nation’s leading suppliers of gloves and personal protection products, The Safety Zone’s expertise in manufacturing and international logistics brings only the best products at the lowest possible prices. Unistar Plastics manufactures plastic packaging for the supermarket, pharmacy, retail, and convenient store markets throughout North America. Unistar Plastics’s product lines include plastic T-Sacks, 5 types of produce bags with various bagging systems, merchandise bags, and can liners. Unistar Plastics’s growing product is the unique Unistar Plastics Pak Fresh™ Produce Bagging System that was introduced to the U. S. market in 2002. Plastic T-Sacks is one of Unistar Plastics’s primary product lines, producing custom printed T-Sacks in HDPE, LLDPE, and recycled resins with up to 6 color registered print. Production capabilities range from producing as small a bag as 10 inches long to a bag as large as 36 inches in length. Wausau Paper has produced 100% recycled towels and tissue for over two decades, becoming the first paper company to offer a complete line of Green Seal-certified products. Wausau Paper produces premium green products that are Authentically Green™. Certified by Green Seal, Inc., EcoSoft™ and DublNature® products feature environmental attributes that are substantiated and audited by the most stringent third-party standard in the industry. Its broad range of product categories include roll and folded towels, centerpull towels, household roll towels, single roll and jumbo roll towels, facial tissue, and a variety of sleek and functional towels and tissue dispensers.